About five years ago, the residents of a small village in Peru discovered that a nearby mountain had suddenly burst into color. The snow that once capped the mountain had melted away, revealing a marvelous spectrum of multicolored soils on its peaks. Word about the “Rainbow Mountain” soon spread throughout Peru and then the world, instantly transforming this remote region into a bustling tourist destination. Local guides lead about 1,000 hikers to the site every day, charging $3 per person. Community members estimate that 500 villagers have returned to the area to work in Rainbow Mountain tourism, which currently generates $400,000 per year. This budding industry has created lots of new jobs for a community that previously relied on alpaca farming for income (an enterprise which is not too lucrative these days). Nevertheless, some Peruvians claim that this boom could turn into a bust if people continue to visit the site in droves. “From the ecological point of view, they are killing the goose that lays the golden eggs,” said biologist Dina Farfan. Along with a swamp that was filled in to create a parking lot, Farfan also points to the 2.5 mile-long trail near the mountain that has become severely eroded by hordes of hikers. This pattern of destruction has been apparent to some visitors as well. “It was the bad weather combined with irresponsible guides, unprepared hikers and horrendous trail conditions that made this one of the worst treks we’ve ever been on,” said American tourist John Widmer in a blog post about his experience. As a result of reviews like these, Rainbow Mountain’s tour guides may need to improve their operations or else risk spoiling the natural wonder that has brought them so much prosperity. Should Rainbow Mountain’s tour guides set a limit on the total number of hikers who can visit the site each day? Do you think fewer people would visit Rainbow Mountain if tour guides increased their prices? Why or why not? 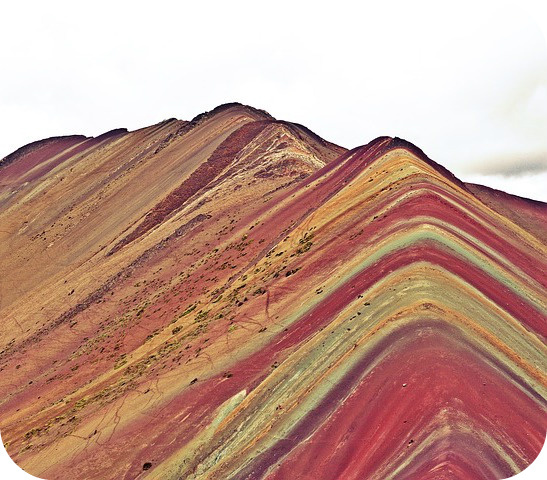 Source: Iliana Magra and Andrea Zarate, “Will Tourism Ruin the Rainbow Mountain of Peru?” The New York Times, May 3, 2018.